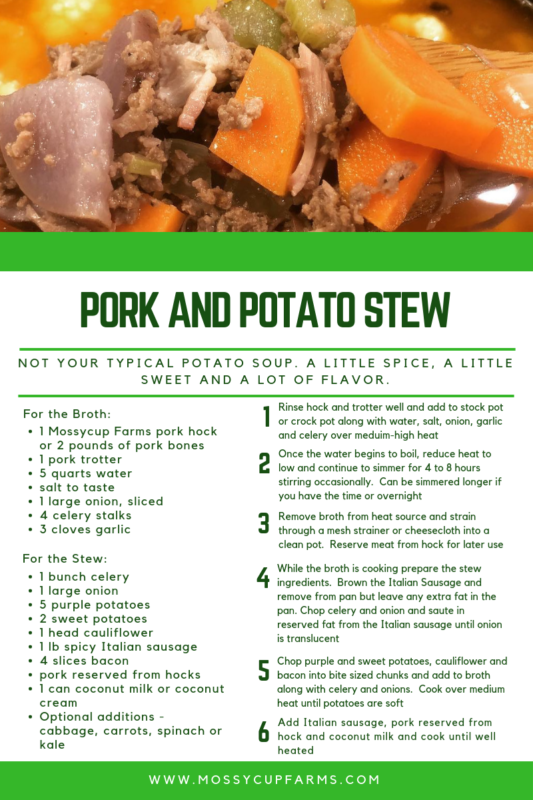 This is one of my favorite stew recipes. I made this recipe yesterday and the house smelled great all day while the broth was simmering. 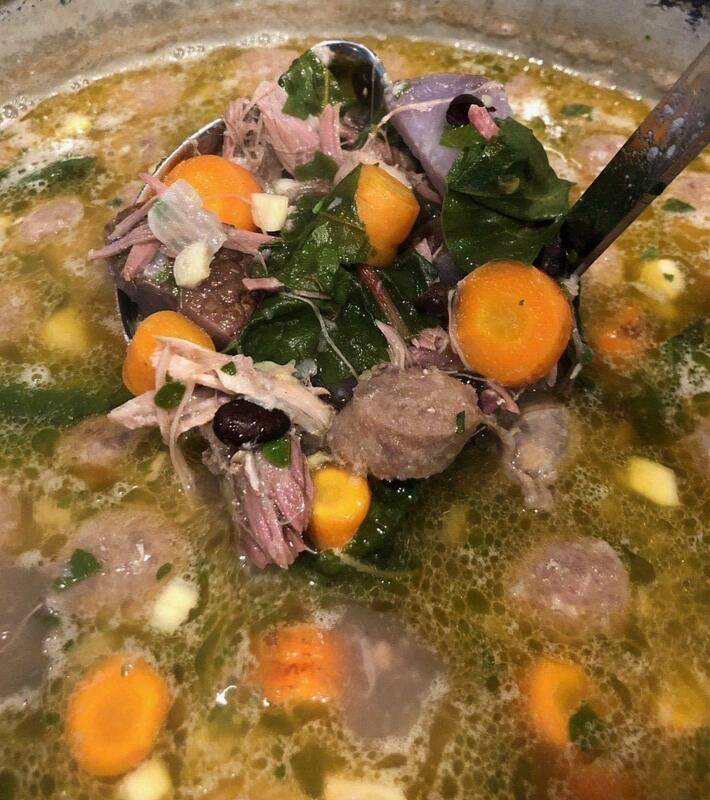 A fresh pork hock (also known as a ham hock) is perfect for soups and stews and deserves more credit than its given. This cut is from the leg area directly below the ham and has a large bone and good quantity of meat. After simmering in the broth the meat is tender and easily pulls apart. A hock can be used in a recipe that calls for a ham bone – want the smokey cured flavor? Just add a few of slices of bacon!